We offer you widest collection of Fine wool Cashmere shawls and stoles in Kaani,self Jacuard,checks,stripes and in reversible patterns. 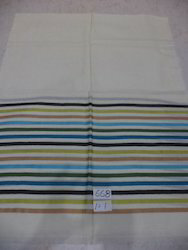 We offer you Fine wool with Cashmere Hand feel multi colour Silk stripes border stoles in assorted colour in 70x200 cms. Packaging Details: SINGLE PACKING IN POLY BAG. We offer you 100% fine wool with Cashmere hand feel Kaani stoles in assorted designs and colours in 70x200 cms. 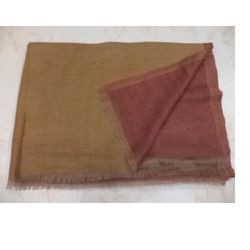 We offer you fine wool with Cashmere Shawl hand feel reversible in assorted colors. 85% merino wool blended with 15% silk with full swarosvki work stoles.Available in assorted colour and designs. 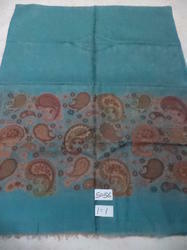 We offer you 100% Fine wool with Cashmere hand feel Kaani border stoles in Assorted colours and designs in 70x200 cms. Packaging Details: SINGLE PC PACKING IN POLY BAG. 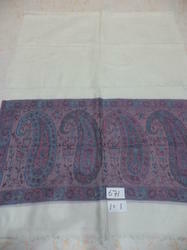 We offer your Fine wool with Cashmere hand feel self Jacquard and Woven Kaani cutting border stoles. Packaging Details: Single piece poly bag packing.